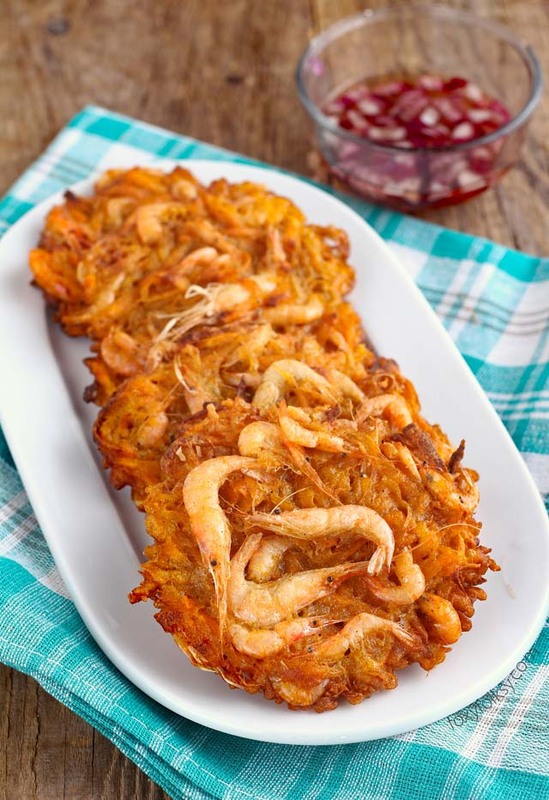 Get this easy Ukoy recipe, the Filipino crunchy shrimp fritters using sweet potato. 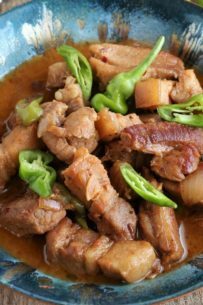 It is a popular Filipino snack that can also be served as an appetizer or, like me, as a main dish to be eaten with rice. Make sure you do not forget the spiced vinegar for dipping! I’ve been craving for Ukoy for like ages but I always thought that it is impossible to make them while I am here in Germany because of the main ingredients involved. The Ukoy/Okoy I grew up with uses green papaya which is impossible to find here, ripe papayas sure there are some from time to time, but not green unripe ones. 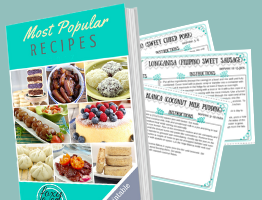 Then while browsing through the net, I came across several recipes for Ukoy that use different kinds of vegetables like bean sprouts, squash and sweet potato! I was excited to try it of course, so next on my list was the shrimps! It should be not so difficult I thought, of course, there are shrimps in Germany, but usually we only have the frozen ones. Does not matter, it could work! But then all that I was able to find in our local food stores were too big, already peeled or the heads removed! 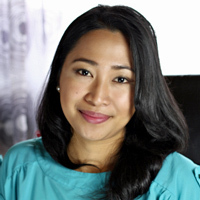 I don’t know why, but I cannot picture an Ukoy with beheaded shrimps. My last hope was to go to the nearest Asian food shop (which is not really so near), so I convinced Armin that it is time to replenish our fish and soy sauce. And look what I found!!! The perfect shrimps for Ukoy!!! Ok maybe, almost perfect…perfect would be if they were fresh but these were frozen fresh but still, they looked fresh once defrosted and they tasted great and were crunchy just like fresh shrimps! I cannot be happier! 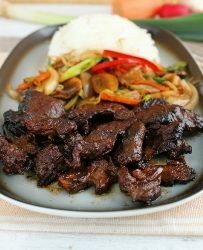 A note about cooking Ukoy: Don’t be surprised if you get a runny batter, it is supposed to be like that. I also remembered watching an Ukoy vendor in the ‘palengke’ or market (way, way back then) because I was too curious and fascinated how they make their shrimp fritters perfectly round. That is where I got the idea of using a saucer to measure and form my Ukoys. 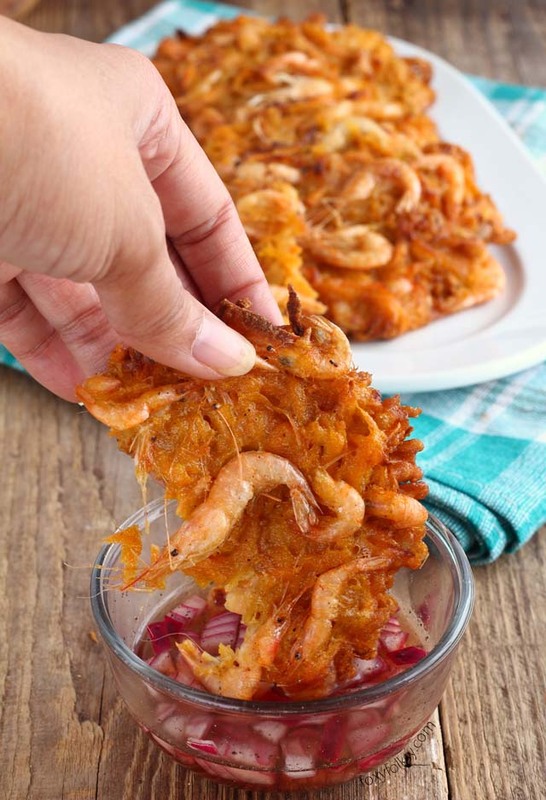 Get this easy Ukoy recipe, Filipino crunchy shrimp fritters using sweet potato. 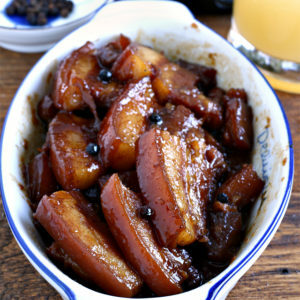 A popular Filipino snack that can also be served as an appetizer or main dish. In a bowl, combine flour, cornstarch, salt and ground pepper. Add the water and whisk together until well-blended and smooth. Stir in annatto/achuete powder to the mixture and mix well until color is evenly distributed. 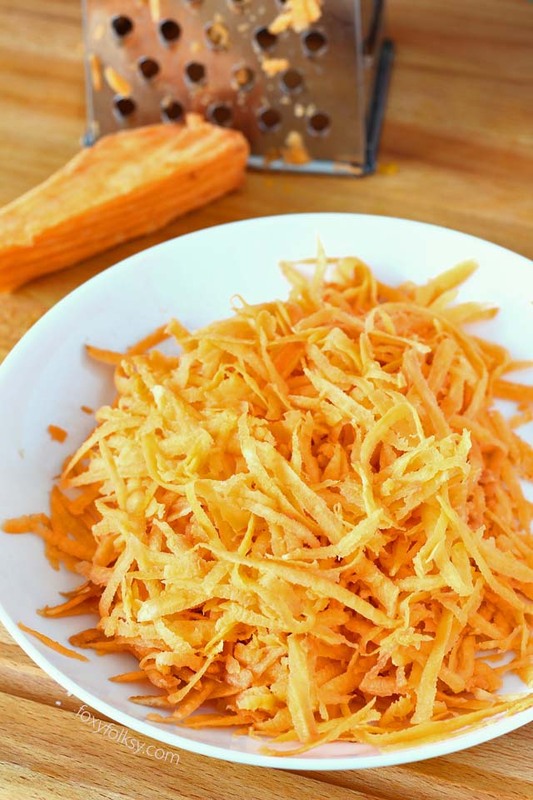 Add 1 cup shrimps and grated sweet potato in the mixture and lightly stir to distribute. 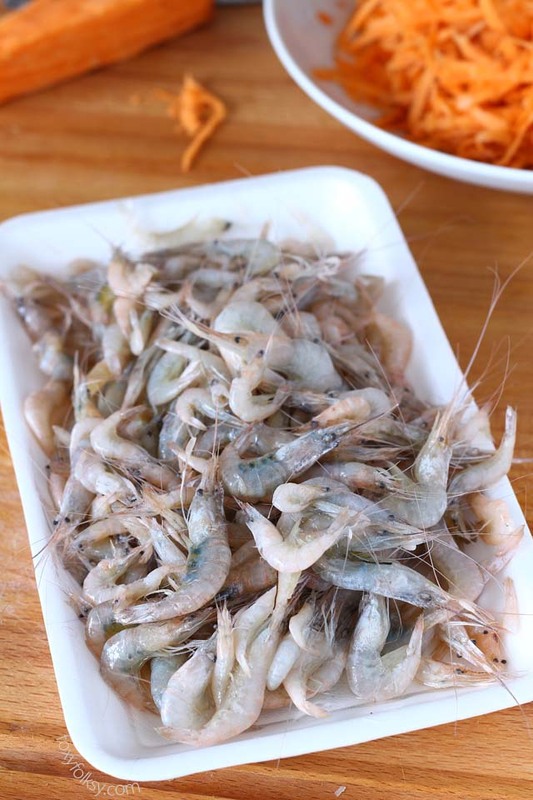 Fill a small saucer evenly with about 2-3 tablespoon of the mixture and add 2-3 more shrimps on top. Gently tilt the saucer to slide the mixture into the hot oil and cook for about 3 to 4 minutes on each side or until they turn golden brown. 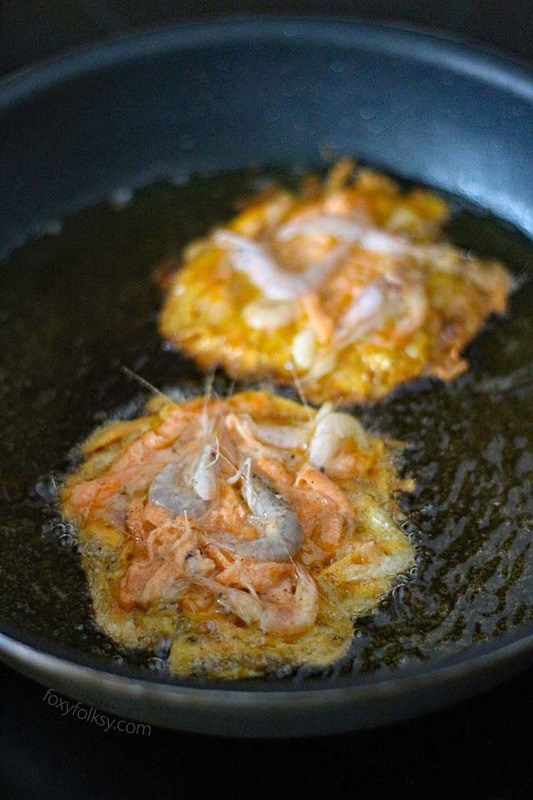 Transfer the deep-fried ukoy in a plate lined with paper towel to absorb the excess oil. Serve while still hot with spiced vinegar. Ukoy are delicious with peeled shrimp! A clove or two of garlic, chopped scallions, a little corn, so many things can be added. As a Filipino also living in Germany, it can be quite frustrating not to be able to get fresh seafood. I’m not sure if it’s just me or do shrimps here taste different? I am dying to try this once I find the right shrimps. I am not a fan of frying, so did it spatter a lot?